Dr. Judy Dye earned her PhD in nursing from the University of Arizona, with an emphasis on the health and well-being of vulnerable populations. Dr. Dye originally graduated as a registered nurse from the Los Angeles County School of Nursing. She completed her master’s degree at San Diego State University, graduating as an adult-gerontology nurse practitioner (AGNP) and critical care clinical nurse specialist (CNS). She has worked in a variety of facilities in the San Diego area as a critical care and emergency room nurse, as well as in management positions. As a board certified adult nurse practitioner (ANP-BC), she has worked primarily in cardiology, primary care, and women’s health. 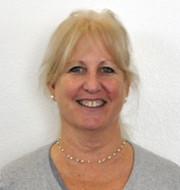 Dr. Dye has recently assumed duties at San Diego State University’s School of Nursing as the Concentration Chair, for the Advanced Practice Nursing of Adults & Elderly program, where she directs the Adult-Gerontology Nurse Practitioner/Clinical Nurse Specialist program. For the past 15 years she has worked at Naval Health Research Center in San Diego as the division manager for Operational Research and Clinical Support for the Navy’s Expeditionary Medical Encounter Database, where her work has primarily focused on military trauma. She also continues to work per-diem as a primary care provider at Linda Vista Health Care Center in San Diego. Her research interests include deployment-related injuries in the military, military women’s health, as well as resiliency and coping in different populations. Dr. Dye has served in the US Navy Reserve as a Nurse Corps Officer for 27 years and holds the rank of Captain. She served onboard the USNS Mercy in 2008 and deployed again in 2012 to the NATO Role 3 hospital in Kandahar, Afghanistan, as an ANP providing primary care. Dr. Dye has held a variety of leadership roles in the Navy, including Executive Officer of Operational Health Support Unit San Diego, and is currently serving as the program manager for the Navy Reserve-Navy Medicine Education and Training Command. Dr. Dye was recently selected as the Reserve Nurse Corps Specialty Leader for Research.